CobbleStone announced the release of CobbleStone Chat with Version 17.3.0, providing Contract Insight™ users with an easy, efficient way to communicate about contract information, status, and other important content that can sometimes be time-sensitive. CobbleStone Chat is in the form of a chat box in the system, similar to chat boxes in other social platforms. It’s easy to use, convenient for system users, and allows you to share information quickly. Learn from this 5-step guide how easy CobbleStone Chat can be to quickly communicate with other Contract Insight users, share contract records in the click of a button, be instantly alerted of record updates, and more. CobbleStone Chat can be found in the top main bar of your system and is in the form of a message bubble (shown below). 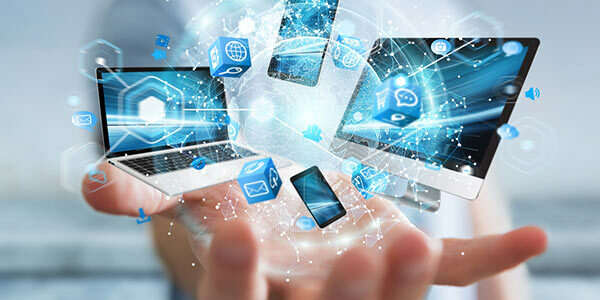 You can access this chat feature from anywhere in your system and can direct other system users to specific areas of the system by sharing data and links with them. You’ll be notified with a red alert on the message bubble when you’ve received a new message from another system user. Start a new message by clicking on the message bubble and choosing “New Chat”. For a basic message to another system user, name the chat thread based on the topic of discussion, choose the recipient(s) you would like to send the message to, and type your message. 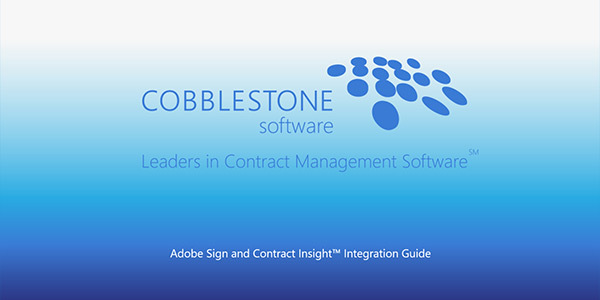 CobbleStone Chat gives system users the ability to share contract links in messages. If an update has been made, or something is missing in a contract record, you can contact the appropriate parties regarding this information and provide a link for easy record access. To send a message linking to a contract record, choose “New Chat” on the contract record page, then choose “Auto-Fill”. This will automatically pull information from the contract record for your message. “Auto-Fill” pulls the chat name, recipients, and contract record link. “Auto-Fill” pulls all recipients associated with the contract record including the assigned employee, additionally assigned employees, and assigned employees from the record department. These options may vary based on your system’s configurations, but keep in mind you can remove recipients from “Auto-Fill” easily by clicking the “X” in each box (shown below). Once you have finalized the thread name, recipients, and message it's time to send your message. This will start a new message thread with the chosen recipient(s) for them to easily view and respond to you. You can keep track of who each message is from and when it was sent for easy communication tracking. Make communication easy with CobbleStone Chat. 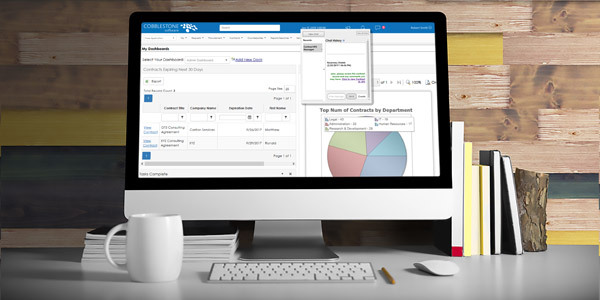 It’s convenient to use from within your contract management software and all system users have access to it. To learn more about other system features, check out our blog post on our recent software update, Contract Insight Version 17.3.0.